Mount Bond is a 4,698 foot mountain in Lincoln, NH (Grafton County) in the White Mountains. 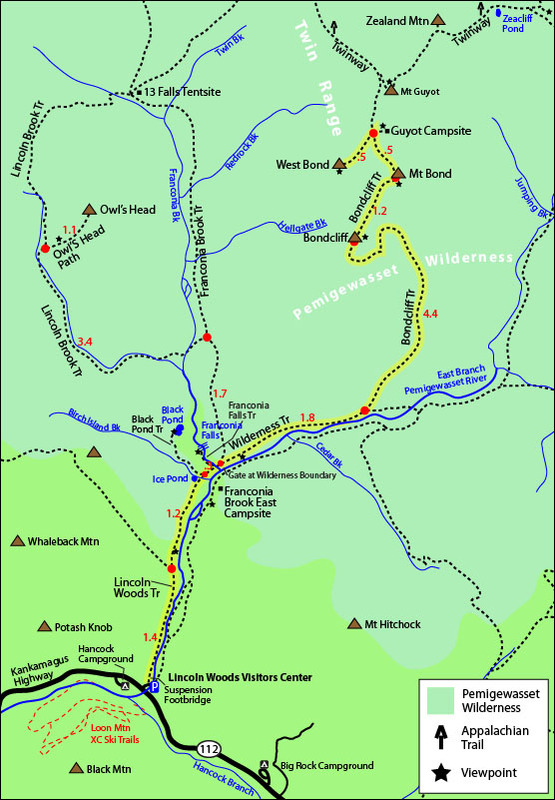 It is located in the Pemigewasset Wilderness and is part of the Twin Range. 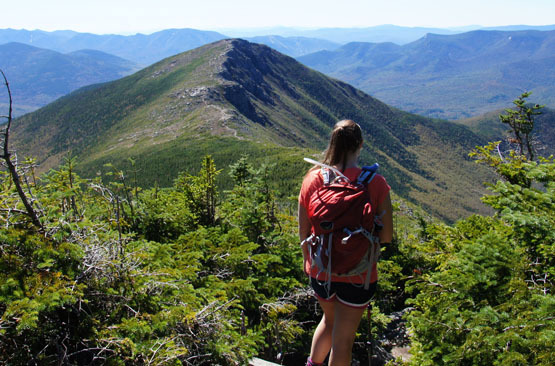 Mount Bond has two subsidiary peaks, West Bond and Bondcliff, all of which are NH 4,000 Footers. Bondcliff is a subsidiary peak of Mount Bond along with West Bond. 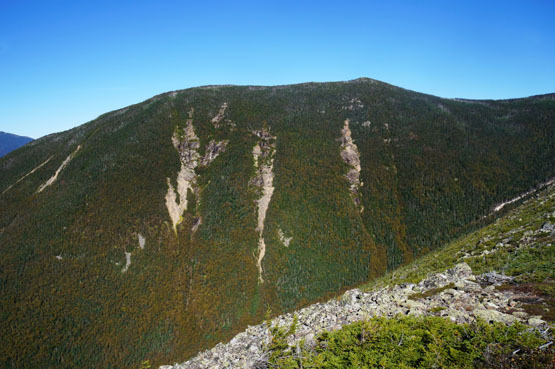 It reaches 4,265 feet and is located in Lincoln, NH (Grafton County) in the White Mountains. 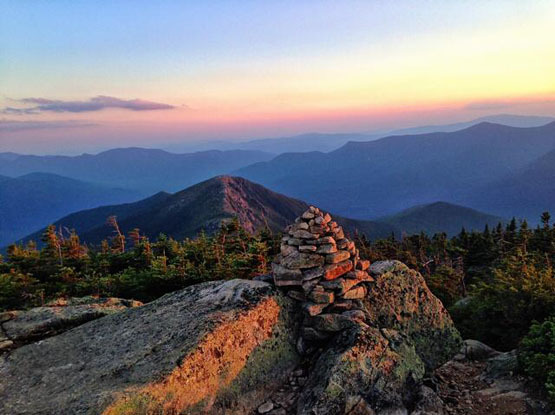 It is located in the Pemigewasset Wilderness and is part of the Twin Range. West Bond is a subsidiary peak of Mount Bond. 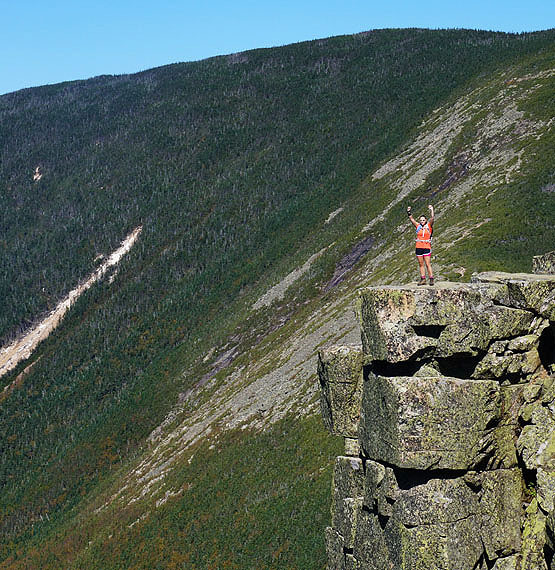 It reaches 4,540 feet and is located in Lincoln, NH (Grafton County) in the White Mountains. 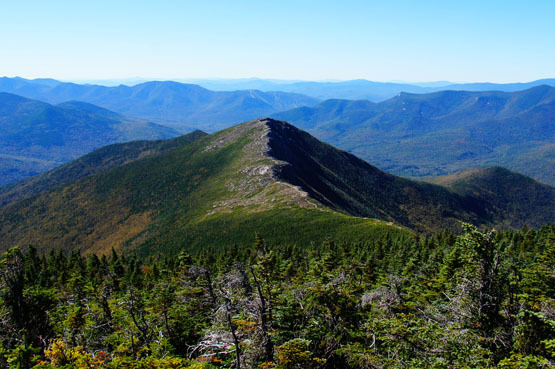 It is located in the Pemigewasset Wilderness and is part of the Twin Range. Photo taken from the summit of West Bond looking at Mount Bond and Bondcliff. The map below shows how to get to the summit of Mount Bond from the Lincoln Woods Visitor's Center as well as West Bond and Bondcliff. Hike along the Lincoln Woods Trail up past the Black Pond Trail and the Franconia Falls Trail. Continue straight and bear right after the Franconia Falls Trail onto the Wilderness Trail. Hike on this trail for 1.8 miles until you come to a junction with Bondcliff Trail. Take the left onto Bondcliff trail and hike for 4.4 miles until you reach the summit of Bondcliff. After you enjoy the incredible views, continue for 1.2 miles on the Bondcliff trail until you reach Mount Bond. From Mount Bond, you can either start heading back to the parking lot the same way you came, or continue on the Bondcliff trail for 0.5 miles then turn left onto the West Bond Spur trail and hike for 0.5 miles until you reach the summit of West Bond. To get back to the parking lot, retrace your steps the way you came. This is a photo of the views from the summit of Mount Bond, looking at Bondcliff on 9/18/13. Looking at the Bondcliff ridgeline from Mount Bond on September 18, 2013. Taken from Mount Bond looking at Bondcliff. Photo taken by Eric Happeny. July 26, 2014. This is a photo of West Bond Mountain taken from Bondcliff on September 18, 2013.